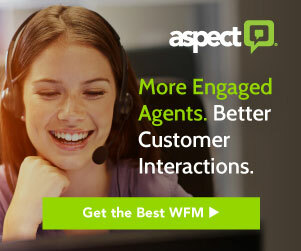 Guy Winch explains why understanding the mindset of complaining customers helps CSRs manage service recovery encounters. Complaining customers bring a specific mindset and psychology to their encounter with customer service representatives (CSRs). Giving the CSR an understanding of complaining customers’ thoughts and feelings can significantly enhance the CSR’s ability to manage their own emotions during difficult and hostile encounters, leading to improved job performance and successful service recoveries. 1. Complaining will be too much of a hassle. 2. 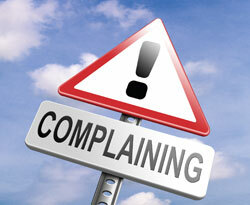 Complaining will not help and they are unlikely to get a satisfying resolution. 3. The company does not care and CSR might even retaliate by sabotaging them. These three fears operate so powerfully they create “complaining learned helplessness” – a psychological mindset in which dissatisfied customers feel so passive and hopeless about getting a satisfying resolution they never try complaining to the company. Yet those customers who do complain bring the exact same fears to their interaction with the customer service professional. Indeed it is these fears that fuel the hostility customers can bring to their encounters with CSRs far more than their mere dissatisfaction with a product or service. Therefore, to deliver truly excellent complaint management, the CSR must provide not just a satisfactory resolution to the complaint but they must also dispel these three customer fears in the process of doing so. For CSR’s it is vital to understand that consumer hostility usually reflects powerful negative expectations and pre-established fears, not mere overreactions to faulty products and certainly not antipathy to the CSR personally. Recognizing the true sources of customer hostility can make it easier for customer service professionals to avoid taking such affronts personally. But there is good news as well. Because complaining customers approach the complaint encounter with such negative expectations, when their complaints are managed with excellence, the positive cathartic release and satisfaction they experience is powerful as well. In other words, the stronger the negative mindset of a complaining customer is, the greater the opportunity to significantly exceed their expectations and achieve customer ‘delight’. Authentic customer delight directly translates into huge gains in customer loyalty as well as substantial and widespread positive word of mouth for the company. CSRs that supply such cathartic and psychologically powerful experiences to their customers typically benefit as well, as they experience surges of satisfaction, feelings of competence and mastery and an increase in general psychological well-being. The bottom line: Complaining customers, even those who come across as aggressive and hostile, rather than representing problems for companies and their service employees, actually represent significant opportunities for all concerned. 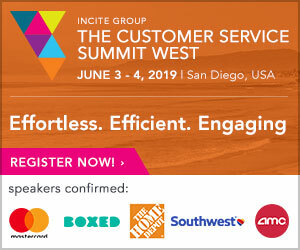 When complaining customers receive service that exceeds their expectations, the customer experiences customer delight; a win-win-win situation for the customer, the company and the CSR alike. Guy Winch Ph.D. is a psychologist and author of The Squeaky Wheel: Complaining the Right Way to Get Results, Improve Your Relationships and Enhance Self-Esteem. He also writes the popular The Squeaky Wheel blog on Psychology Today.